Canoe Outpost®, incorporated in Florida and Georgia, is a group of independently owned paddlesport outfitters across the state of Florida. All Canoe Outposts are owned by individuals and families that can give the paddling public that extra attention and expertise that Canoe Outpost® is known for. 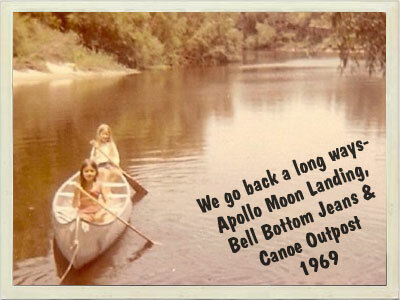 The first Canoe Outpost® was started by Tex and Donna Stout in 1969 on the Peace River in Arcadia Florida. As the business and the popularity of canoeing grew, more franchises were started on other rivers. In 1978, the Stouts sold the business to Charlotte Bragg. The franchises were dropped due to liability reasons and the Canoe Outpost® became an advertising family. In 2001, Charlotte Bragg retired, and her daughter, Becky Bragg took over. There are four Canoe Outposts which are located on the Suwannee, Santa Fe, Little Manatee, and Peace Rivers. In the next two years, two more outfitters are expected to join the Canoe Outpost® family, expanding the coverage across the state. Canoe Outpost® and the tagline See the True Florida® were trademarked in 2010. After 40 years of use, it was time. Canoe Outposts strive to bring the joy of paddling to folks of all generations and protect the waterways of Florida.